Like the saying goes, emotional problems do not run in Annie Graham’s family, they gallop. She always blamed her mother, perhaps with good reason. However, she starts to feel guilty about her long simmering resentments when the semi-estranged matriarch finally passes away. 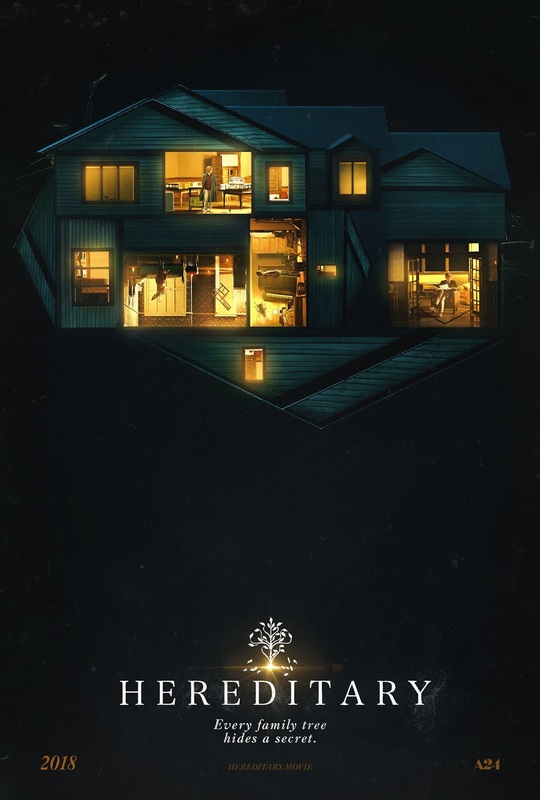 Yet, the full toxicity of Grandma’s legacy soon becomes apparent as the Graham family tragedies compound in Ari Aster’s Hereditary, which screens during this year’s Sundance Film Festival. Annie Graham lives with her family in a remote chalet-style home, where she works as a scale-model artist, thereby establishing a creepy locale and décor for Aster to build off. Their teen son Peter can’t even fit in with his stoner friends, but his younger sister Charlie is the real odd duck. Maybe not so coincidentally, Annie and her husband Steve allowed Grandma more access to Charlie, but they totally froze her out during Peter’s early years. Alas, thanks to a freak accident, Charlie follows her Grandma into the after life soon thereafter. The blame falls on poor Peter, even though the exact circumstances are murky. Graham was already unsettled, but the death of Charlie sends her hurtling down to some dark emotional places. In some ways, Hereditary evokes the spirit of The Babadook as Graham’s relationship with her son becomes increasingly poisoned. Yet, there is also plenty of The Conjuring, when a member of her grief support group convinces Graham to try to reach Charlie through seances. This being a horror movie, her instructions turn out to be seriously flawed. Hereditary is getting a lot of buzz, because its depiction of family dysfunction is nearly as harrowing as its supernatural horrors. As Annie Graham, Toni Collette gets frantic and feverish beyond on all reason. It is sort of a cross between Isabelle Adjani in Possession and a dramatically less shticky Meryl Streep in Ossage County. In a straight domestic drama, she would be excessively over-the-top, but in a claustrophobic horror film like this, she is just what the mad doctor ordered. Aster’s narrative takes some shockingly dark and insidious turns, but it all seems believable, thanks to his masterful control of atmosphere. Each time he drops a revelation, it raises the hair on your arms. His horror movie mechanics are spot-on, especially in his use of Graham’s diorama models. Plus, there is an attic to the Graham house that you really wouldn’t want to rummage through. Gabriel Byrne nicely counterbalances Collette as the painfully reserved Steve Graham. Milly Shapiro (one of four young actresses who originated the role of Roald Dahl’s Matilda on Broadway) gives a remarkably weird performance as Charlie, making the more conventional teen angst of Alex Wolff’s Peter, pale in comparison. Of course, Ann Dowd is rock solid as Joan, Graham’s séance buddy, in scenes reviewers will want to revisit after the fact.